Ahoy there! Welcome aboard with Chesil Sailability! We were inspired by the 2012 Paralympic Games, and are based at the Paralympic sailing venue on Portland. We provide taster sessions & fun sailing through to competitive racing. 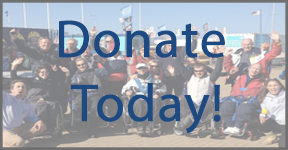 Join the Chesil Sailability crew as a sailor, volunteer or supporter and share the freedom, joy and exhilaration of being on the water!